Northside Power began operations in 1978. Northside Electric began operations in 1978. In that early beginning we provided our customers with fast and reliable electric service work, construction services, and generator installations. As the years passed our ability to provide generator power continued to increase and as the demand for our services increased, we became increasingly focused on the generator market. For over 20 years Northside has been dedicated to providing generator power to our customers. Today we are the largest Generac Dealer in Arkansas and are completely committed to providing generator power to our customers with top of the line equipment like Cummins, Honda, Briggs & Stratton, and Generac, with a full staff of factory trained service technicians, and fully stocked and GPS tracked service trucks. With that many years of experience, we can provide black-out protection for your auxiliary power needs from small portables, standby systems, prime power Generators, and anything in between. We have units that operate on gasoline, diesel, liquid propane (LP), and natural gas! We provide complete preventative maintenance agreements to keep your equipment operating at peak performance. Whether you purchased your system from us or someone else, we can perform all of the scheduled maintenance that your standby generator requires. We will provide you a free power assessment to determine your standby generator requirements, review the installation, and provide a no obligation quote to complete the standby generator installation. You can then make an educated decision regarding the correct size and type of generator that meets your needs. For qualified customers, we have financing available 12 months same as cash, home improvement loans, or we accept Visa and Master Card to make your purchase as easy as possible. Before the power goes out, let us drop in and provide you with a trouble free natural gas or L.P. standby generator system quote. We service any Cummins or Generac generator any where in Arkansas. Our focus is your power! To all of our customers across the great State of Arkansas we want to say thank you for helping us become the top Generac dealer in Arkansas. For those customers who haven’t called us for your generator needs, we certainly look forward to serving you in the near future. 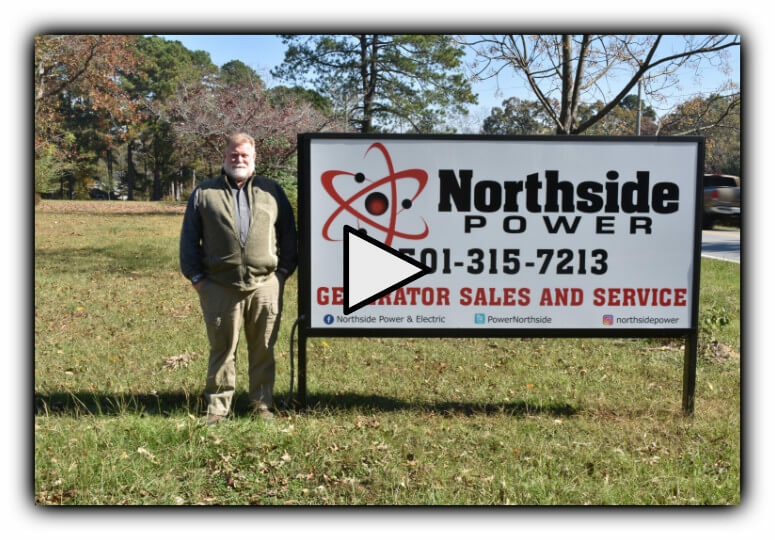 For top quality sales, service, or maintenance on your Cummins, Honda, Briggs & Stratton, Generac, or any other generator brand, call Northside Power today and find out why so many Arkansans have trusted their emergency power to us. For more reviews, make sure you check out our Facebook page!